Our most popular service, perfect for your everyday needs. Ideal for everyday conferencing of up to 150 callers. Our 24 x 7 feature rich, reservation-less Audio Conferencing service is perfect for on-the-fly calls that can be set up anytime, day or night. To hold a Web Conference, the Host and Participants only need a web browser, Adobe Flash and video camera to attend a meeting. Host a meeting from a PC, Mac, or Linux computer. How can we offer lower rates to our customers? By keeping up with ever-changing technology. We keep our cost down with automated sign-ups, which provide our customers a new account in minutes, reservation-less and self-managed teleconferencing services, and our volume and telephone lines bridge technology networks. Our bridges are located in strategic locations within the USA with backup equipment and processes in place to ensure quality control and reliability. This allows Genesis to keep our overhead low and pass the savings to our customers, maintain the quality of our services, while providing old-fashioned customer service. With the alliances that Genesis has formed over the years we are able custom tailor your telecom solutions. Our alliances will help our customers save money and meet your goals in the most effective and efficient way possible. 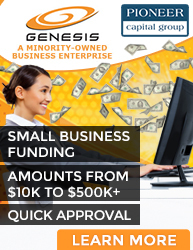 Genesis builds strong partnerships that go beyond the technology requirements. Our conferencing solution is an easy and low?cost way to participate in fully interactive, mul-ti?party Reservation-less Unlimited Video, Web, VoIP & Free Recording , Operator Assisted (OA) Online and Audio Reservation-less , for deposition conference calling solutions on a secu-rity platform. May be used to create a formal legal record when taking or giving depositions for attorneys, law firms, court reporters and corporate legal firms. Our platforms enable quali-ty service from the deposition location via the Internet to your desktop, laptop or smart phone. Genesis has developed robust and flexible tracking and billing options - Client/Matter Account-ing . This means that you can easily track the amount of time spent with each client and bill them accordingly. Genesis Language Solution provides a full range of linguistic services to cli-ents around the world. Our transcription and translation services offers the highest quality vid-eo and audio transcriptions for all types of digital video and audio files. Our brochures can be very useful tools. They can provide detailed information about our services. Our online help guides will walk you through the ins and outs of our web, audio and video solutions..our online info will teach you the essentials to get started. Demos can be scheduled on Monday and Friday between 11:00 - 3:00 PM EST. Now, at no additional cost, you can monitor your phone conference call online with Live Confer-ence Viewer (LCV). New technology now enables you to view and manage your call anywhere you have an Internet connection. Need to add someone to your call? You can easily bring some-one into your conference by having the bridge call them.